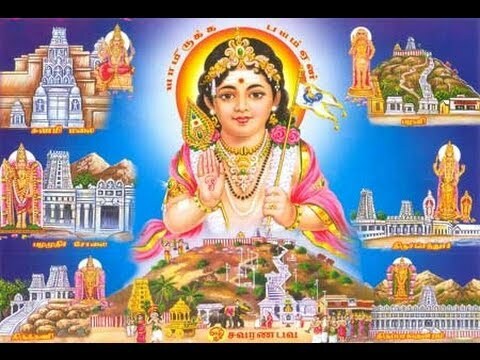 Smt Thangam Viswanathan (THangam Mami ) is a great music composer in Tamil living in Peston Sagar , Mumba.Here is a great composition of hers about Lord Subrahmanya in different Aru Padai Veedu temples in Tamil Nadu. She calls this set of Kruthis as Sashti Kruthis. Each of them have been written as Bhajan songs , with a Dhyana Slogam , Krithi ending with a Namavali .My pranams to the great lady , Her compositions have been brought out by Dr.Hemalatha Ravi Ayyar , in memory of her parents and is being distributed free of cost..
Oh Divine Guru who married Valli, Oh teacher. Oh Lord who rides on green peacock , Oh Child Subrahmany. Hiranya kundalam vandhe , kumaram pushkara srajam. Who has the foreheads from the hands of Goddess Parvathi. Oh Muruga who searched for a deer and married Valli who is like a deer. Valleesa nadha mama dehi karavalambham. Oh Lord Guru who taught your own father. Oh Gem like lad who lives on swami malai, Oh Lad. Oh God with six faces. Who kept his red feet on the fully open lotus flower. Oh Lord with radiance, Oh Lord with radiance , Oh Lord with radiance. Hara haro hara Oh God hara haro hara.